The paintings, drawings and works on paper of two giants of the early Italian Renaissance—Andrea Mantegna and Giovanni Bellini—go on display side by side at the National Gallery in London next week in an exhibition that aims to demonstrate that the two artists had a profound and lasting influence on one another. It is the first show ever to examine the artistic dialogue between Mantegna, the self-made son of a carpenter from Padua, and Bellini, who hailed from a hugely successful artistic dynasty in Venice and would come to be recognised as one of the city’s greatest painters. 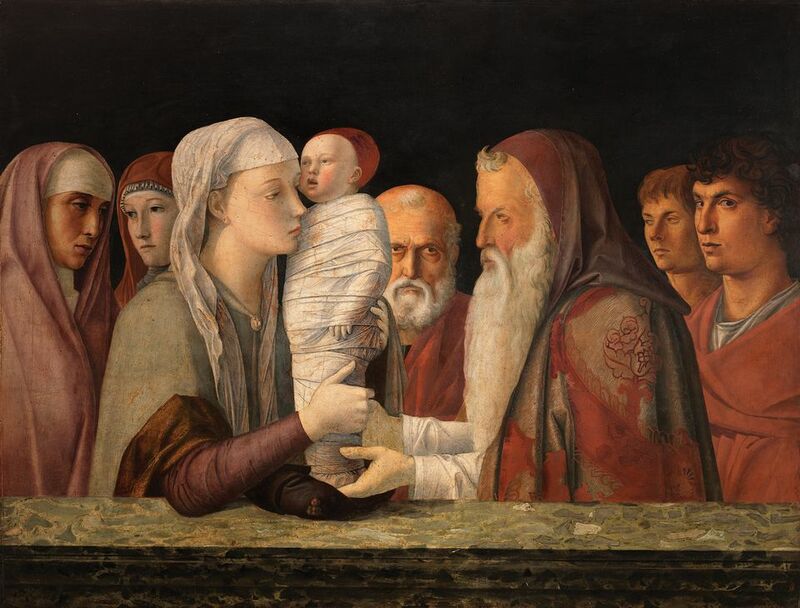 The two were connected through marriage: in 1453, Mantegna wed Bellini’s sister Nicolosia. With this strategic alliance, the Bellinis (including Giovanni’s father, Jacopo, and brother, Gentile) extended the power of their family by co-opting one of the most extraordinary talents of the day, choosing to work with Mantegna rather than compete against him for commissions. The exhibition aims to show that the union also led to one of the most fruitful artistic exchanges of the Renaissance. Mantegna and Bellini “changed the way they worked in response to one another”, writes one of the show’s four curators, Caroline Campbell, the director of collections and research at the National Gallery, in the catalogue. There are no surviving documents or letters that shed light on the exchange of ideas between the two artists, but “it’s clear that they were closely connected”, Campbell says. “Bellini makes work that directly copies Mantegna, and Mantegna is clearly influenced by the innovations of Bellini.” Although Mantegna spent much of his professional life working as court painter to the ruling Gonzaga family in Mantua, the show explores how the artistic dialogue with his brother-in-law, who spent his entire life in Venice, never ceased. The two artists worked in radically different styles. “Mantegna’s talent lay in his powers of invention, his mastery of storytelling and his ability to bring the long-dead world of classical antiquity to life,” the exhibition curators write in the catalogue (Campbell is joined by Dagmar Korbacher from the Kupferstichkabinett in Berlin, Neville Rowley of the Gemäldegalerie, Berlin, and Sarah Vowles from the British Museum in London). Bellini was no less innovative, pioneering the use of colour, light and mood in landscapes that he observed around Venice. He was “the first to use landscape comprehensively to convey emotion”, Campbell writes. Although both artists painted altarpieces and religious scenes, Mantegna achieved great acclaim for his grand historical and mythological narratives, while Bellini’s private devotional pictures were much in demand. 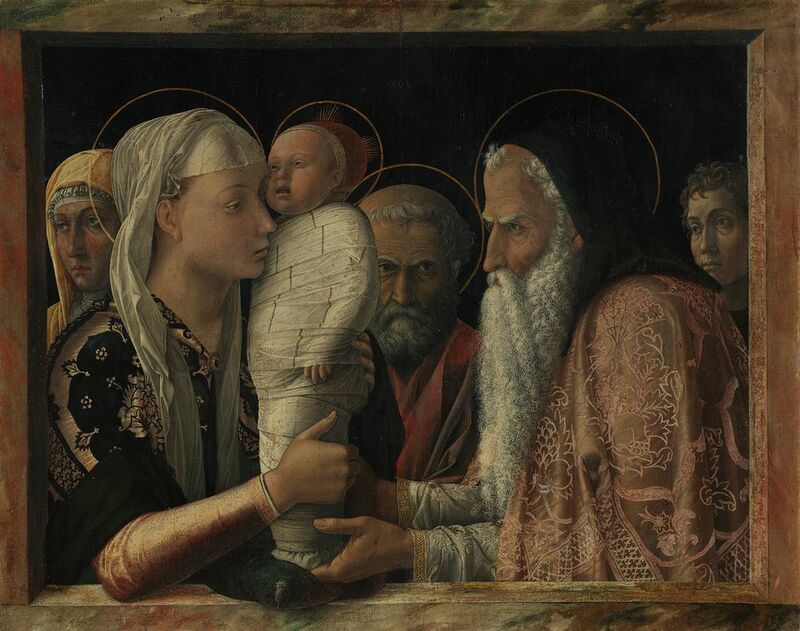 Bellini hugely admired Mantegna’s talents: he would transpose elements from his brother-in-law’s paintings into his own and sometimes rework entire compositions. For example, the exhibition pairs the Venetian artist’s The Presentation of Christ in the Temple (around 1470-75), on loan from the Fondazione Querini in Venice, with Mantegna’s earlier version of the same theme (around 1454), on loan from the Gemäldegalerie, from which it is copied. 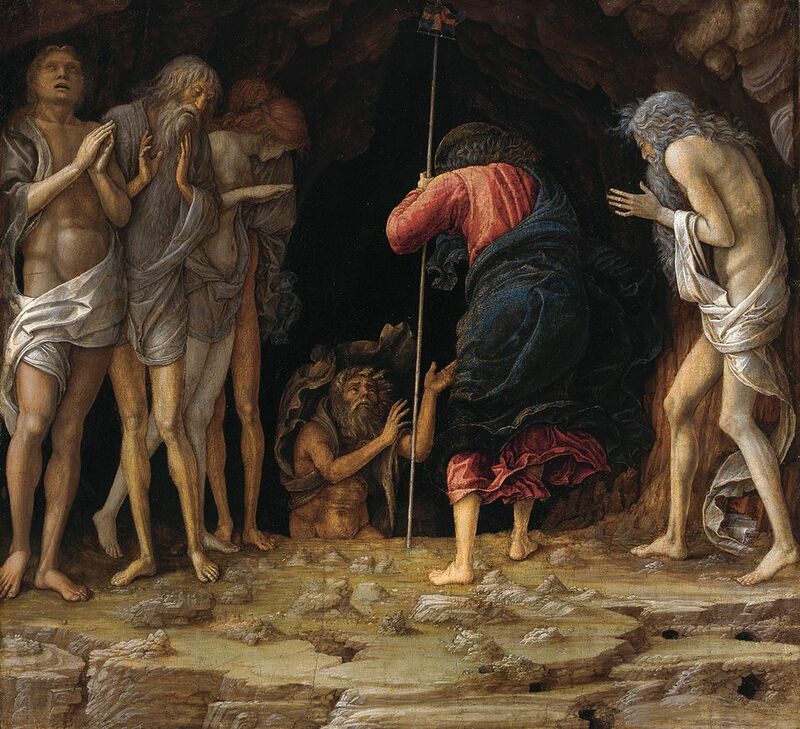 Also included are both artists’ interpretations of The Agony in the Garden (Mantegna’s dates from around 1455-56; Bellini’s from around 1458-60) from the National Gallery’s own collection, as well as their respective versions of The Descent into Limbo and The Crucifixion. For his part, Mantegna was influenced by Bellini’s exceptional talents as a landscape artist. For example, in his Death of the Virgin (1462), on loan from the Museo Nacional del Prado in Madrid, the top half of the composition is devoted to a poetically serene view of Mantua, framed by sea and sky, which is directly related to the sweeping views created by his brother-in-law, the curators argue. The show is a collaboration between the National Gallery and the Berlin State Museums, in partnership with the British Museum in London and the Kupferstichkabinett in Berlin. It is supported by the Julia and Hans Rausing Trust, the Thompson Family Charitable Trust and the Robert Lehman Foundation, among others.